At the Washington DC, NAR meetings this month, we heard that there could be changes coming to the FHA rules on condos. The changes have to be approved by the Obama administration. 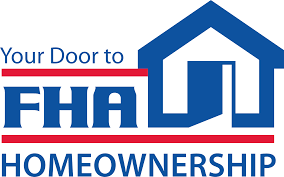 FHA once financed almost 100,000 condos but those numbers have been steadily shrinking as many associations did not reapply once their certification ran out. If the changes are significant, then once again, young families can begin to own a condo and senior citizens that own condos can apply for reverse mortgages (click this link for a recent news article). This will strengthen our economy and allow home ownership which is the dream of many young families. Remember that home ownership has social implications beside the financial aspects. Kids do better in school, there’s less teenage pregnancy, they are more apt to go on to college, parents become more engaged in their communities and local governments…the implications can go on and on. Home is where the heart is and owning a home has been the American dream. So my fellow REALTORS, let’s be good to each other. Let’s keep pushing our legislators on the home front. This entry was posted in 100 Years of Service, 2016 President, Advocacy, FHA, Hot Topic and tagged American Dream, Condo Financing, FHA, Obama Administration, Reverse Mortgages. Bookmark the permalink.